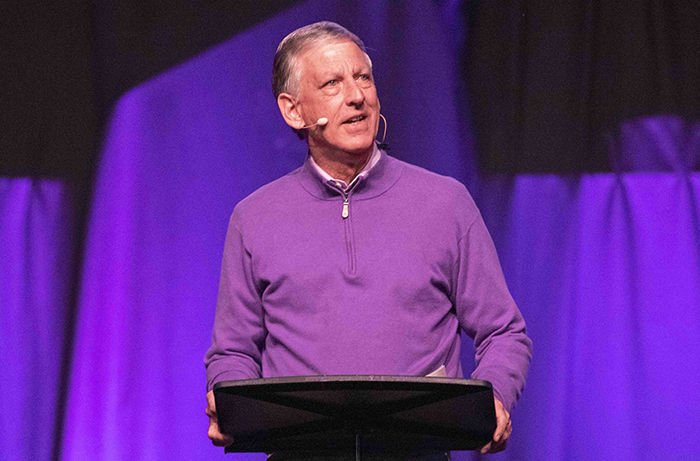 Brian Mueller regularly fields questions about what is happening at “this thing called Grand Canyon University.” His leadoff talk at Chapel each semester is a high-profile opportunity to share some answers. “This can’t happen without God wanting it to happen at this time and this place. 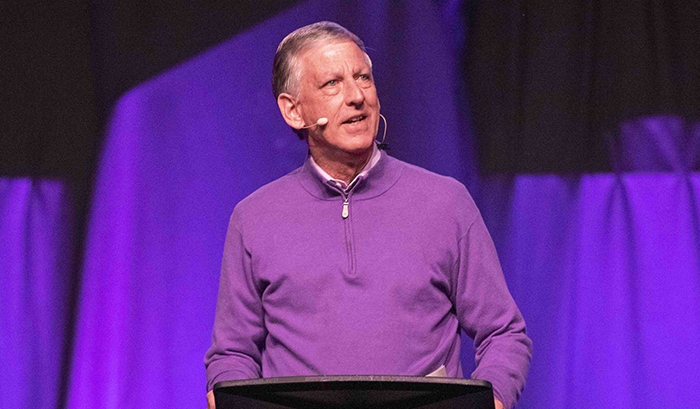 It is Him that is doing it, and it is powerful work that He is doing,” he told his audience, primarily students, Monday in Chapel at GCU Arena. As in one apiece in 30 major cities. Mueller cited an International Organization for Migration report stating that 3 million people move to cities every week. By 2030, the report predicted, 66 percent of the world’s population will live in cities – it was 30 percent in 1950. As an example of what it means to be a full-timer, Mueller cited what GCU students did for Garcia Elementary School last year when they taught there as part of a University initiative. They saw that the Garcia library wasn’t well-stocked, so they started a book drive that collected 2,200 books. “Their impact in that school will now be felt for generations,” he said. “And so here’s what I mean is the difference between full- and part-time: If you went in there and you took your classes and you did your teaching, as a Christian we’re part-time that way. That’s part-time.